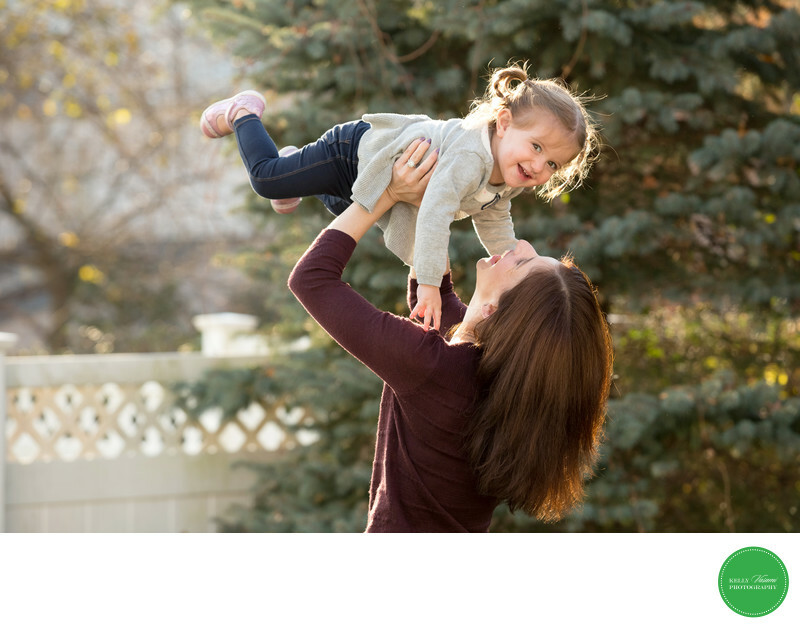 Sweet and carefree, this image captures a little girl happily being lifted by mom. Her sweet pigtails and feet up in the air will be treasured details as she grows. Mom looks great with her flowing thick hair and although we don't see her face completely, you can feel the joy. The setting is naturally green and lit nicely by mother nature, creating a stunning backdrop for this loving duo.